Refugees and migrants flows plunge Europe into the quagmire of crisis. As the situation gets worse, the inability of the European Union and its institutions to effectively tackle all-European problems becomes evident. It’s not about the failure to take preventive measures or make forecasts only. Brussels «firefighters» actually blow hot and cold. In Central and Eastern Europe trains full of refugees move back and forth in a random manner. Real shooting is about to start at the borders of states, which are both the EU and NATO members. This geopolitical weakness is also demonstrated when it comes to the problem of energy security, something the EU has been trying to handle for years. It raises even more questions about the prospects for the United Europe. The EU cannot and has no wish to do something in concrete terms to address it. This is the only conclusion one can arrive at. 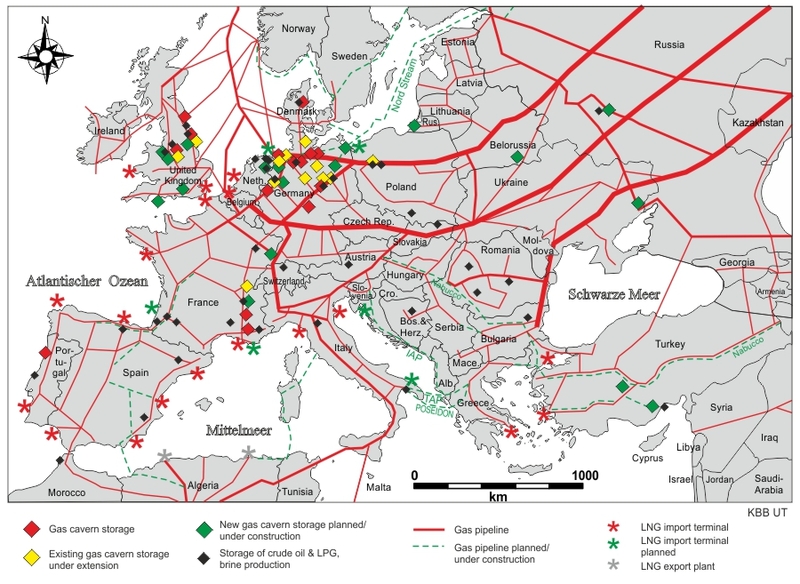 Take, for instance, the issue of gas transit across the Balkans. The European Commission (with the United States behind it) had spent years applying titanic efforts to hinder the South Stream project (Russian gas pipeline). Now it does the same in case of the Turkish Stream. The goal is to prevent at any cost gas supplies coming to Europe from Russia. Having chosen such a policy, it would be right for the European Commission to come up with its own vision of ways to guarantee regional energy security. There are offers on the table. According to Radio Bulgaria citing European Commission Vice President Maroš Šefčovič, the executive body of the EU is working on a plan to build gas infrastructure. It counts on having at least three different sources of gas with pipelines going across the territory of Bulgaria. The idea presupposes close-knit energy union based on connections between Serbia, Greece and Romania. The plan mentioned by the European Commission Vice President appears to be aimed at creating a regional gas market to become a part of a broader all-European infrastructure. It may be a good thing, but do not hurry to rejoice when dealing with Brussels bureaucracy (and Brussels – controlled budget). A few years have passed, but the idea to connect the Bulgarian and Romanian pipelines has failed to materialize. The construction of 30km long interconnector with Bulgaria started six years ago! It has not been finished yet. Just think about it! There is no functioning reverse connection, though it is mandatory according to EU rules. There is nothing else but ambitions mixed with inability to implement plans. It applies both to Brussels and Bulgaria. Many leading Bulgarian politicians emphasize the plans to make Bulgaria a European energy hub... The radio station puts these ambitious plans into doubt stressing the gap between statements on intentions and the lack of technological potential mixed with the failure to implement small-scale projects. This assessment appears to be correct. As a result, today Bulgaria rather relies on revival of Russian South Stream project (perhaps on a smaller scale) instead of pinning hopes on the assistance plans offered by the European Union. There is no reason to count on US help. According to Foreign Affairs, Europeans are disappointed with the Obama policy. «Soon after he was elected president, Obama was awarded the Nobel Peace Prize – simply, it seems, for the fact that he was not George W. Bush», the Foreign Affairs writes to arrive at candidly expressed conclusion: «With those kinds of absurd expectations surrounding his presidency, it was clearly impossible for Obama to avoid disappointing the Europeans. What is only surprising, in retrospect, is the speed with which he did so – and with which the Europeans disappointed him». Disappointment is the right term to describe what’s happening on the both sides of the Atlantic and inside the European Union. These new developments will produce new elites, foreign policy priorities and plans to implement. The main thing is not to waste time. That’s what important for Serbia, Bulgaria, Hungary, Slovakia and other nations of Central and South-Eastern Europe.